Such was the horrendous situation of the state of England in XVII century (something you are able to discover reading this last post (Oliver Cromwell English Civil War) literature as a consequence was overlaid with that sense. On this post we are to talk of those who were supportive of the English Crown Cavalier poets also known as The Tribe of Ben Jonson or The sons of Ben. Ben Jonson (analysed here Ben Jonson) was so relevant that Cavalier Poets were his imitators. 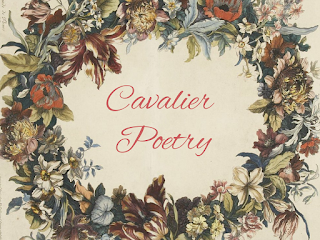 Cavalier poets reunited themselves in pubs such as The Mermaid or The Devil or in a place known as The Apollo Room for instance, forming a literary assembly reading poetry and talking about politics. Aristocrazy enjoyed poetry, a longing note or a letter written in verse served as propaganda. Influence of the ladies on Court was remarkable, there are some poems dedicated to influential women. For instance, Countess of Bedford. Writers and Court members shared readings and a cultural background. Without going any further, these Cavalier Poets used the epigram, a short, satirical poem imitating Catulo and Martial. Ode, a medium poem about love or celebration as Pindar or Horatio did. Elegy like the ones Ovid wrote. The best ever Cavalier poet was Robert Herrick.